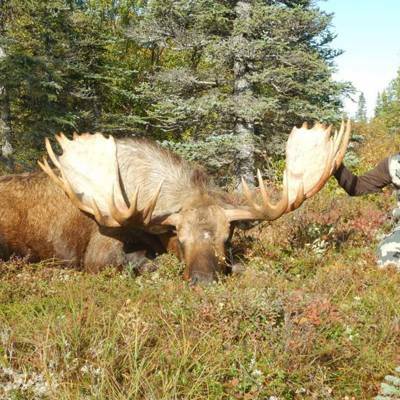 We use both calling and spot and stalk methods while hunting moose. 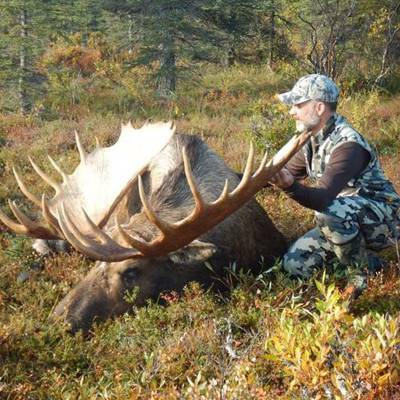 All open season dates are just as the bulls are beginning the rut or are active during the rut. 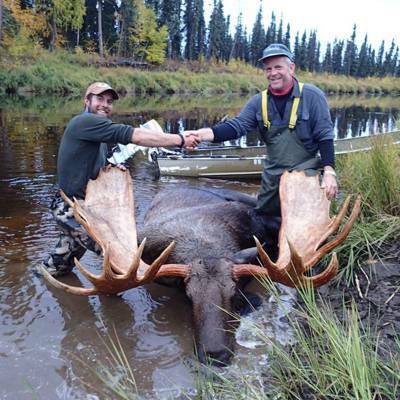 We work hard to get each harvested moose out quickly and by any possible means such as raft, jet boat, canoe, or by foot. 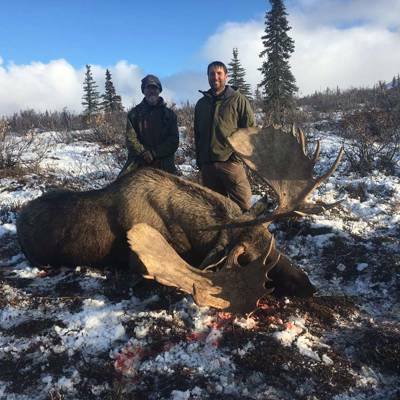 As you can imagine, each moose provides a great amount of meat, and we will steadily continue packing out all of the meat from the field. 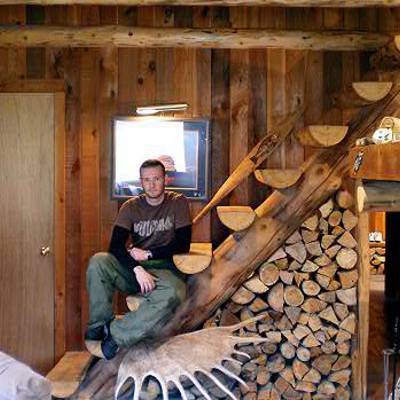 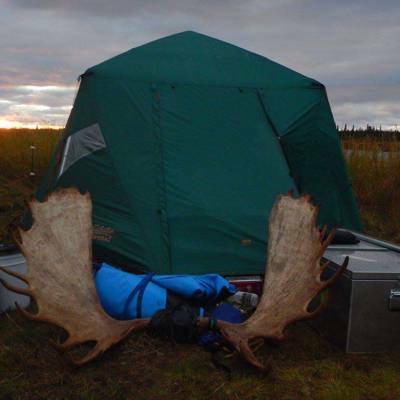 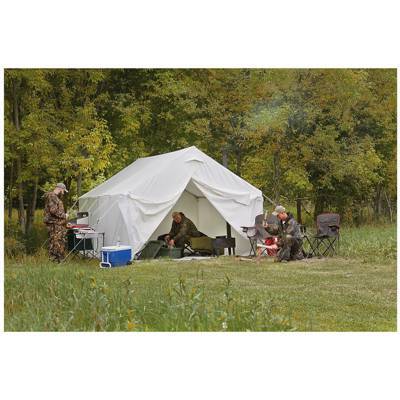 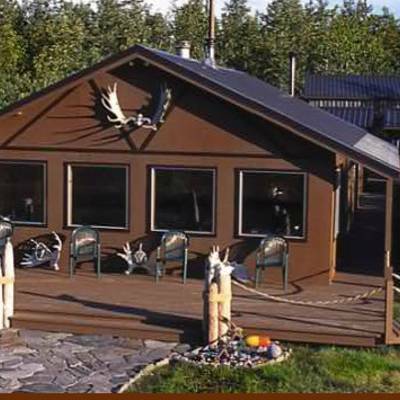 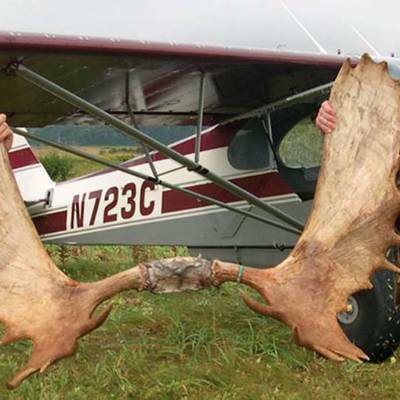 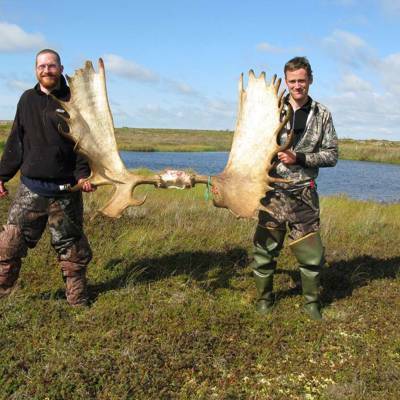 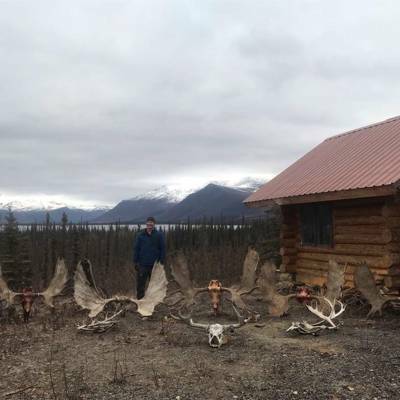 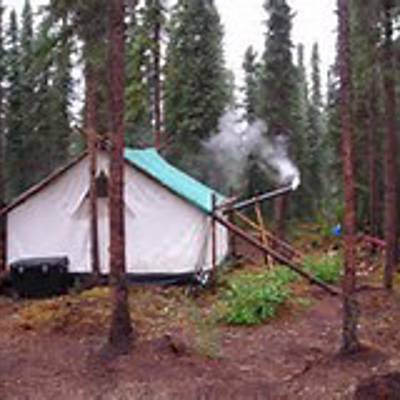 We have moose hunting camps in some of the best habitat located in Southwest Alaska, the Alaska Interior, and on the Alaska Peninsula. 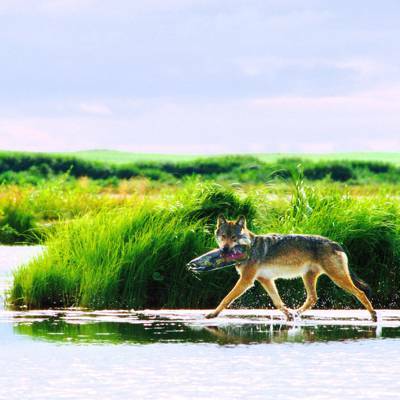 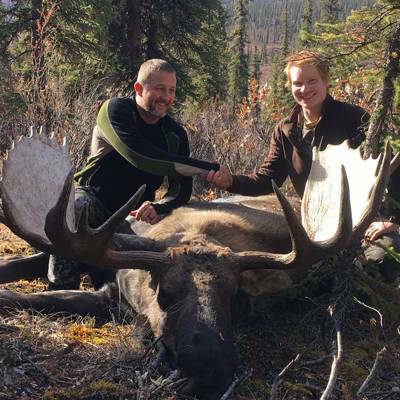 Our hunts are conducted in September each year and after arrival into base camp you will continue on your hunt by either jet boat, canoe, and raft. 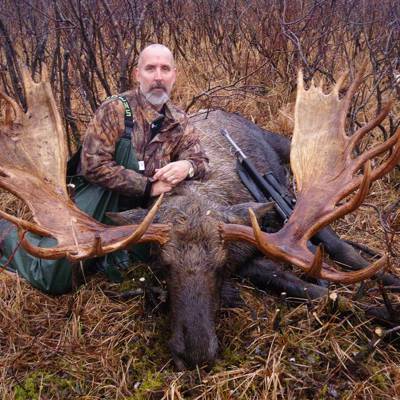 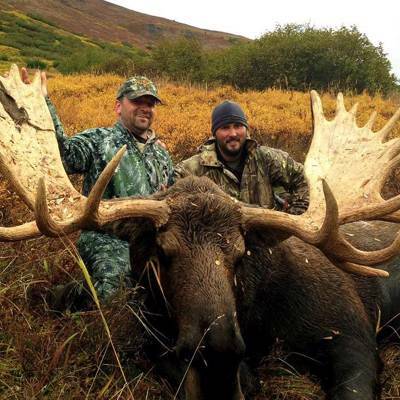 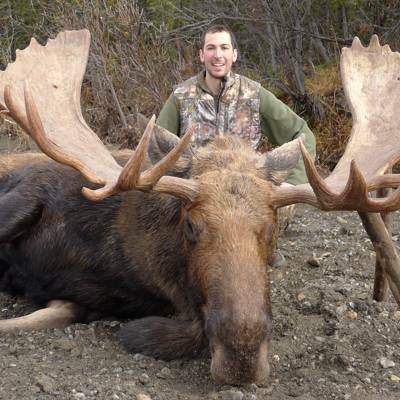 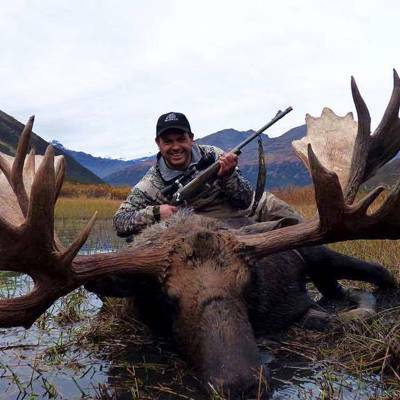 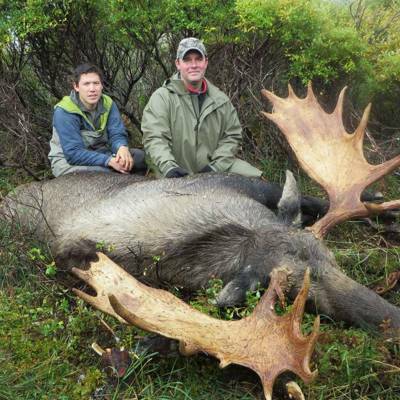 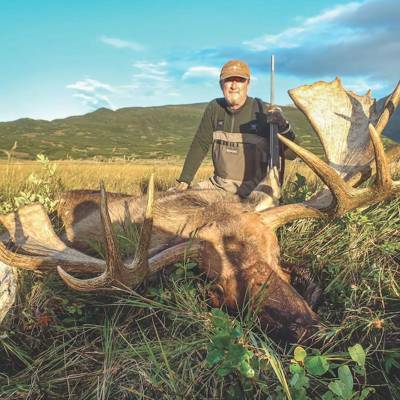 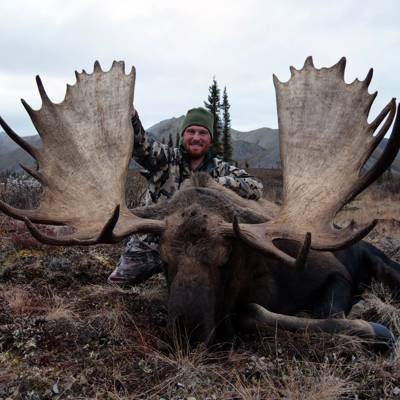 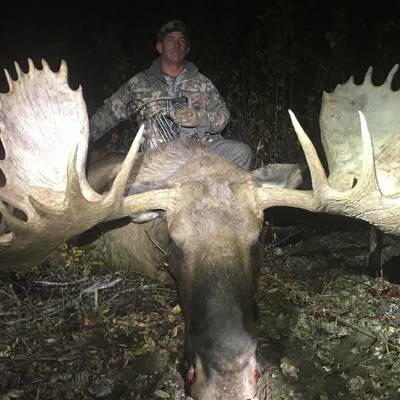 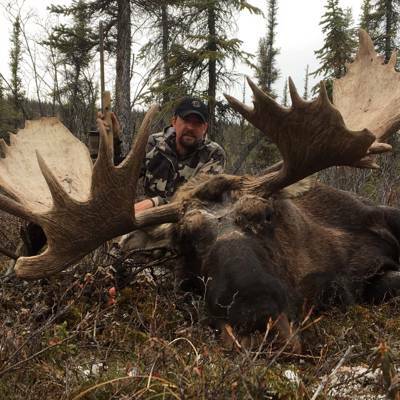 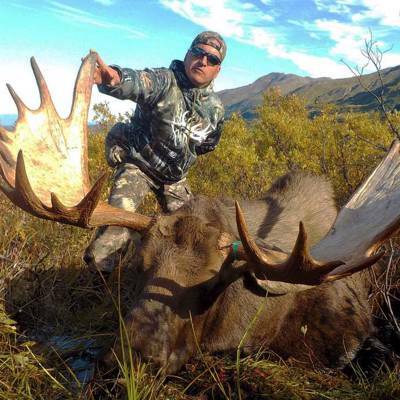 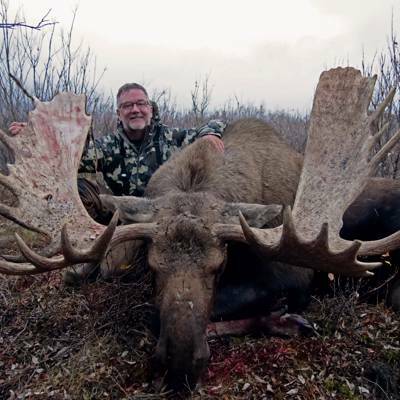 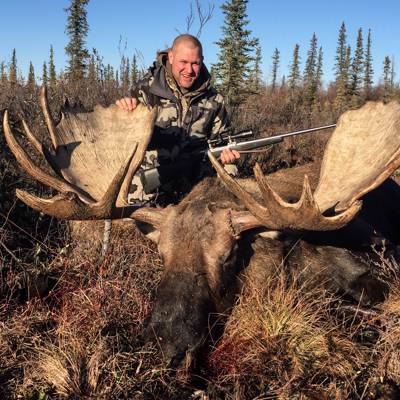 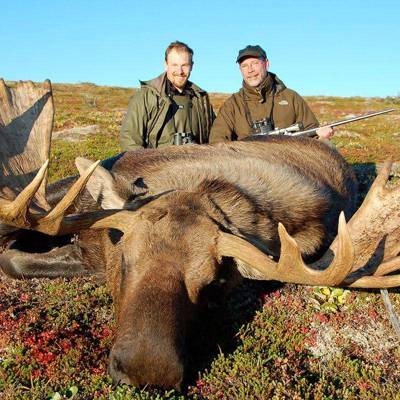 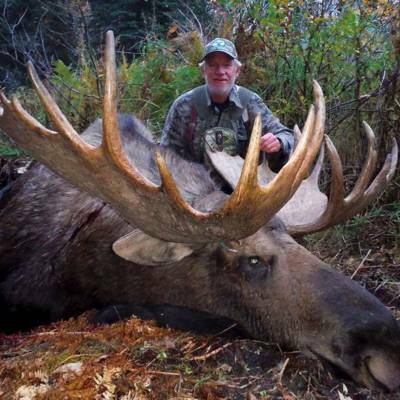 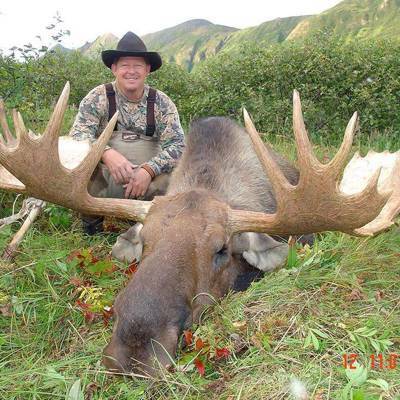 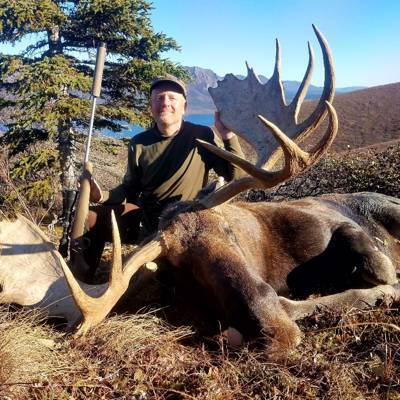 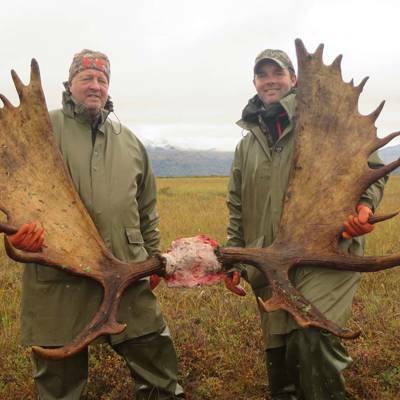 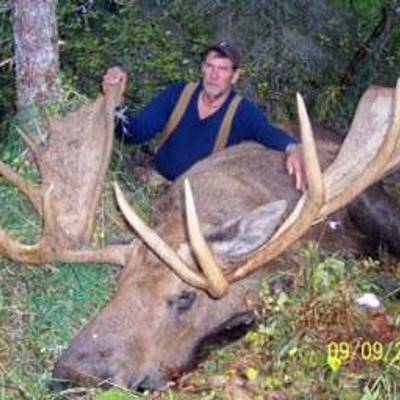 Our average trophy moose taken are between 55 and 70 inches, with our past hunting seasons harvesting up to 77 inch moose and the current #4 Boone and Crockett Alaska moose. 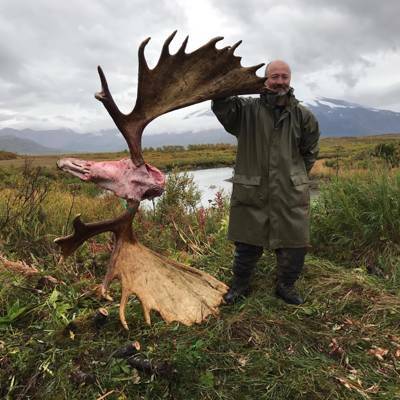 We focus on harvesting older mature bulls and a moose hunt also provides a great opportunity to hunt Grizzly as well in areas where the seasons coincide. 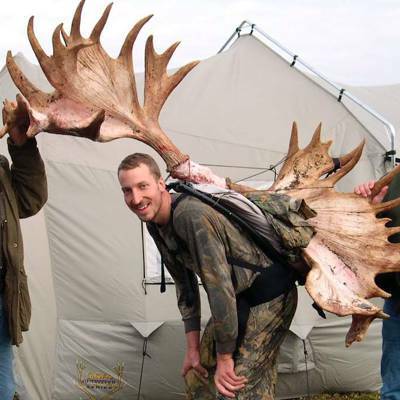 Trophy fees are not included in the package price. 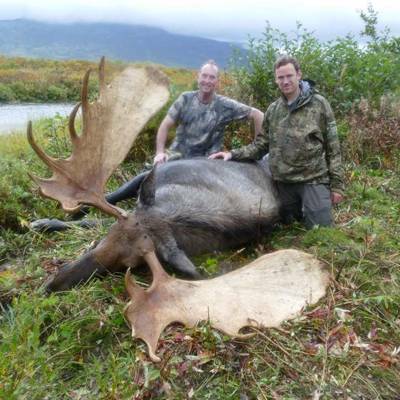 Obtaining Tags and License please visit the State of Alaska Website (http://www.adfg.alaska.gov/index.cfm?adfg=hunting.main) for the needed tags and license(s). 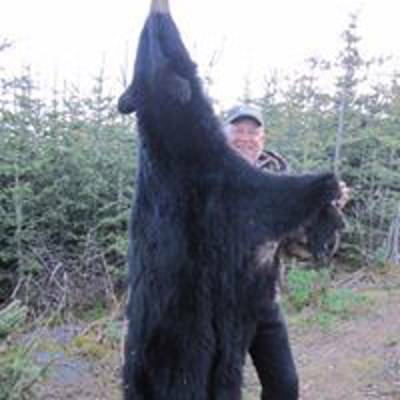 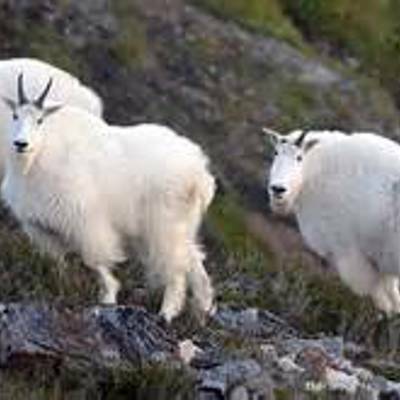 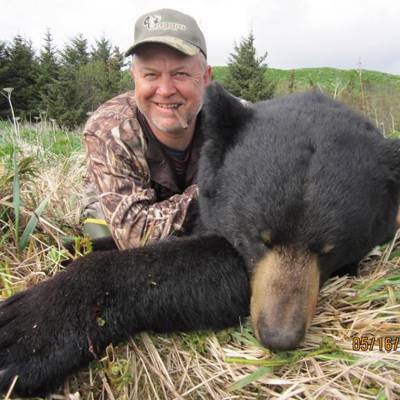 Trophy fees are to be paid one month prior to trip to the US office or Outfitter where they will be held until completion of the hunt and either kept by Outfitter for successful harvest of animals or returned to client within 10 days for any non-harvest of an animal. 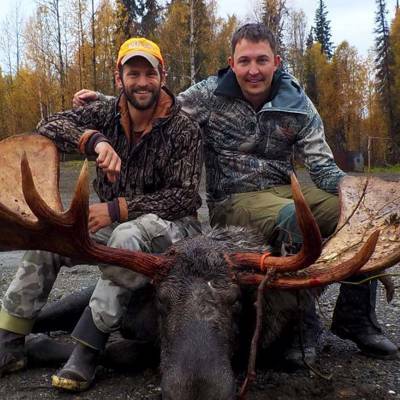 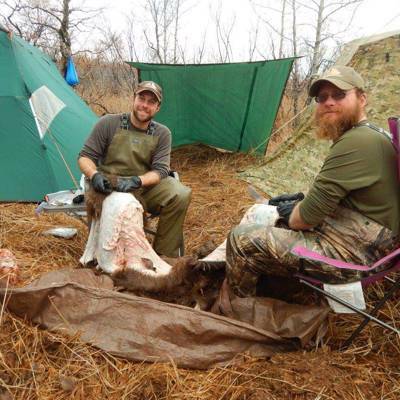 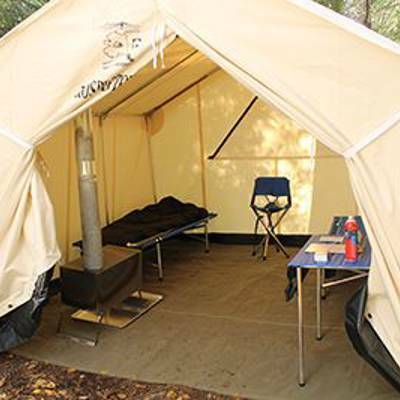 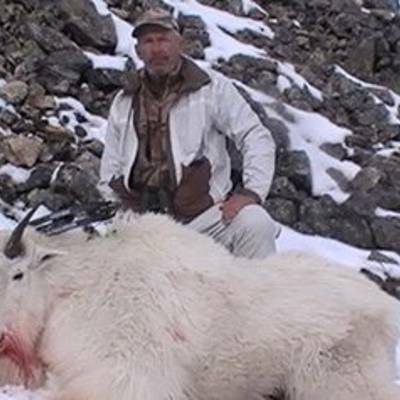 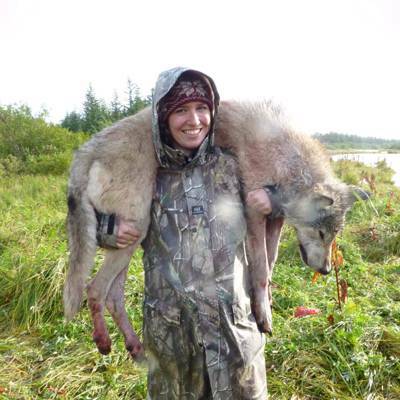 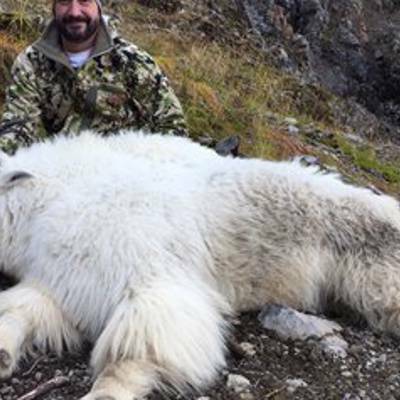 All species hunted or potentially hunted should be confirmed and paid for prior to arrival at camp to our US office.